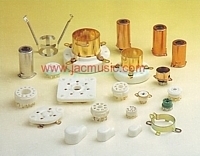 These silicon dampers are highly flexible, you can bend them 90 degrees easily. These are old stock, and I think they were originally very expensive. 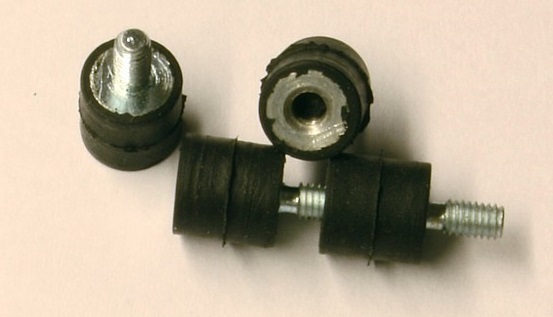 They were used to damp chassis vibrations inside optical equipment. 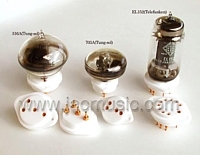 In tube world probably the best use is for keeping away the mains transformer vibrations from the tubes, and reduce tube chassis microphnics. This is not youtube here, but with a few mouse clicks, you can watch a video here just as well. You need to have the Apple Quick Time player installed. Right click and allow the plug-in to play a video, if needed. If you see the Apple "Q" logo, just click on it, wait a few seconds,and the movie will start. In this video I have mounted the tube socket not the right way! This funny mounting method was only done to make the demonstration possible. 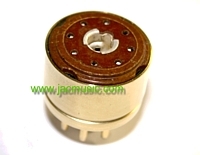 The right way to mount the silicon dampers is shown in the pictures above. 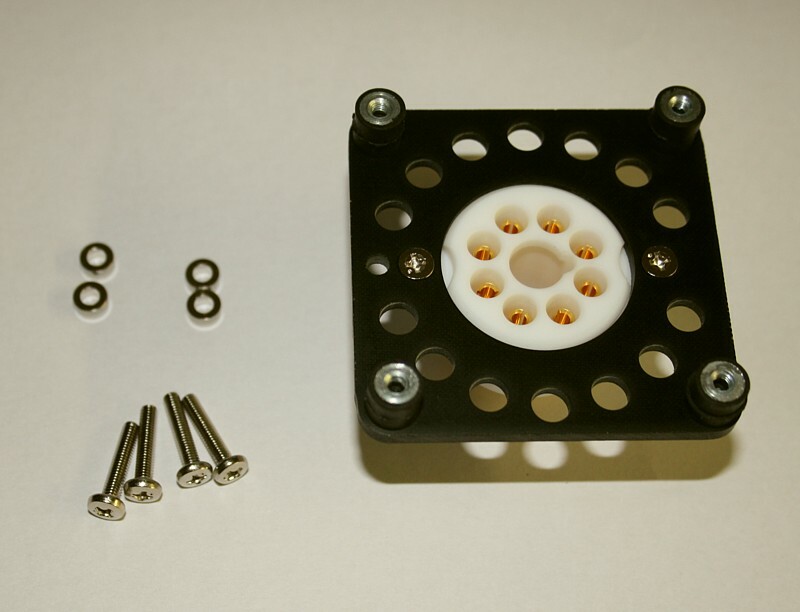 When ordering the Yamamoto Air Vent Adapter (the black piece above - Order Number: 320-074-76) there is a high quality, universal screw set included with it. 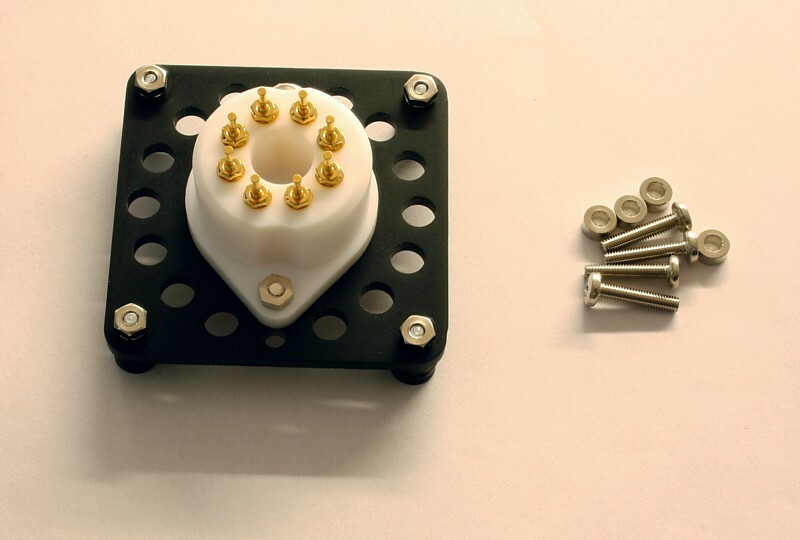 With these you can mount the socket and the dampers as pictured here, while you have left four chassis screws and four distance holders, that you can use as you need. Like this you can increase the distance to the chassis even further. 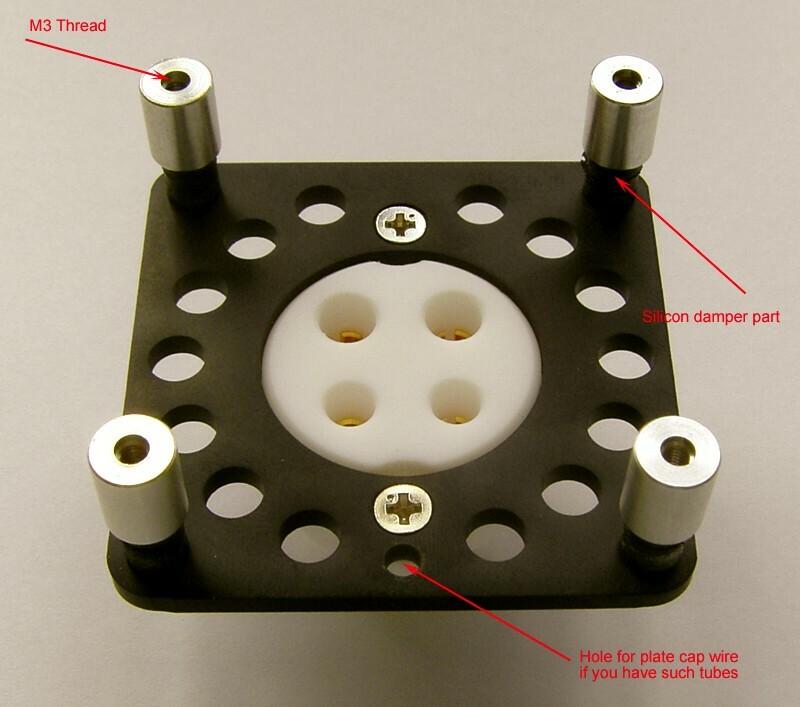 It can sometimes be nice when you want the tube socket to dissappear a little deeper inside the chassis. These metal distance holders we do not supply, but they are normal standard parts of any hardware shop. This picture shows their amazing flexibility. These aluminium distance holder as you see here, are not supplied with it. However with the Yamamoto Air Vent Adapter (see the above pictures) there is a set of four high quality distance holder RINGS included. 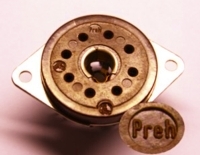 These allow you to mount the base plate 2mm lower than the chassis. To get the best optical result, they are nice to use.